With my new VP cap it was time to go back to the warlock. His luck in LFR has been kind of hit or miss. He had some drops but was still carrying awful trinkets and rings. Those low level pieces were holding his ilevel back to 479. Does that sound familiar? Thankfully my new best friend the upgrade guy was back in town so I was able to burn off some of that JP and make my trinkets a little less sucky. It also gave me that last point I needed. Off to kill trolls! What my warlock has over my other toons is that I’ve actually made him go to dailies. So he had some Mogu runes burning a hole in his robes. Time to spend. First boss: gold + bonus gold. This is going well. Second boss: gold + what’s this? Some strange thing just dropped into my bag. Ooh a little pet. Let’s learn him. If I ever do When I get around to pet battles he will be on my team. Oh yeah, third boss I got new robes + glove token with bonus roll, but I got an adorable dino y’all! This entry was posted on May 23, 2013 at 10:42 am and is filed under Alt with tags pets, raid, World of Warcraft, WoW. You can follow any responses to this entry through the RSS 2.0 feed. You can leave a response, or trackback from your own site. OMG that is the cutest thing! I didn’t even know about that one. SSQUEEEEEEEE. 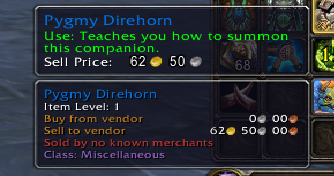 I rolled, but Horrid gave me some thunderforged DPS trinket that turns me into a stanky troll instead of giving me the pet. So. I logged in to the 479 priest last night and went to queue for MSV LFR. It had me defaulted to the first ToT. With the patch they seemed to have relaxed the entry by at least one point. Granted, I was severely undergeared compared to the other healers and went from “I’m bored, there’s nothing to heal” to “FUUUUUUUUCK! /FLAIL” on a rotating basis… but I got in! And forgot, your dino is squeee. 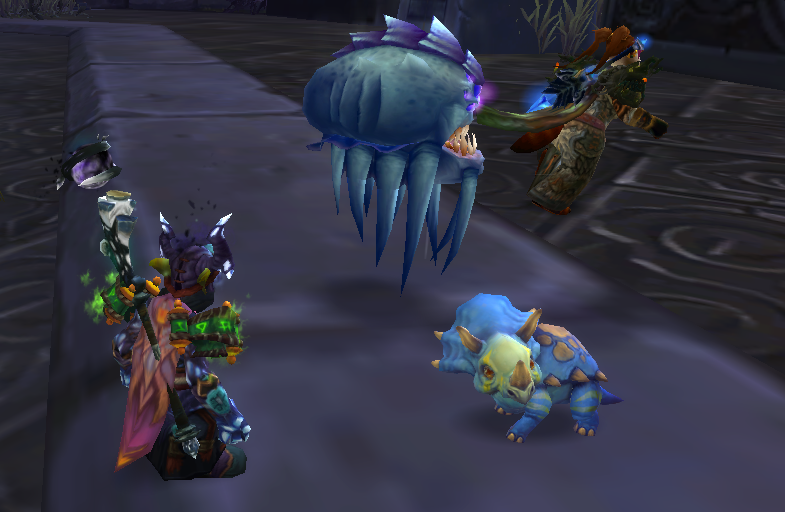 I got the one off Ji’Kun last week and it was the best part of WoW all week.